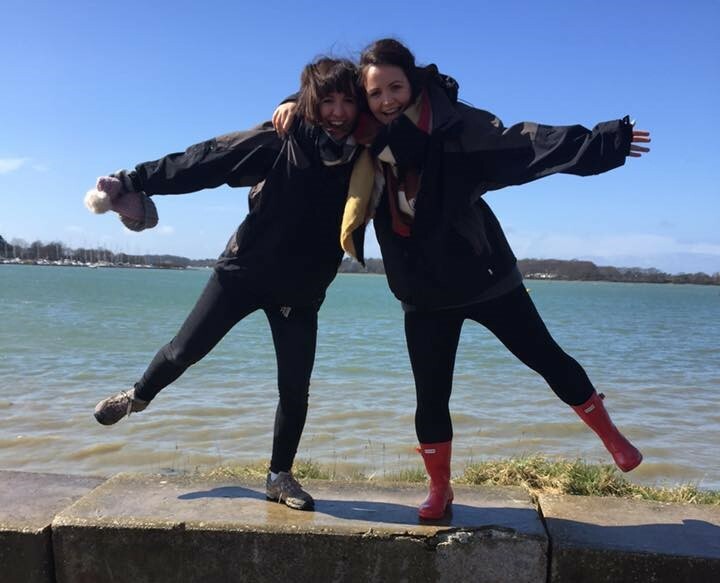 Sarah & Hannah – We will glow through the night to help beat Cancer! Two sisters, better known as 'Bum & Stink', will be participating in the Shine walk 2018. Walking half a marathon through the night in London decked out with glow sticks and flashing lights. Our rave days may be over but we will be putting the same spirit and energy in to this night to show Cancer where it can go! Please sponsor us! When Cancer hits someone you love words cannot describe the anger and emotions you feel. Thoughts like “it’s unfair”, hopes and prayers that this awful disease can be fought and will disappear. Though the reality is, it doesn’t matter how wonderful that person is that you know who is suffering and battling, no one is deserving of this hideous disease. So, we must fight it! We must help find a cure and supporting Cancer Research is the only way we will do this. Next weekend we are walking with and on behalf of Cancer Ninjas, a charity set up by Mike after he sadly lost his wife Sharon to breast cancer. Mike’s story is heartbreaking and his dedication to the cause is inspiring, find out more here. All donations will be going to Cancer Ninja’s supported charity, Cancer Research UK. Please donate what you can, this is a charity that will regrettably most likely affect us all. Well done girls, make sure you beat the old man. Have a blast & best of luck!!!! By the way, nice names!!! Glow on, Sarah & Hannah! Go Girlies!! For a great cause. Add another 10.5 miles to today's training and you're there!